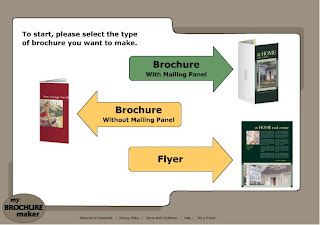 Mybrochuremaker is an interesting site, it is an online tool that helps people who want create brochure and print it easily. If you are running your own business like grocery store, agency, it should be a very good tool for you. It is very easy to use, just follow its steps, choose style: Brochure with mailing panel, Brochure without mailing panel, and Flyer. 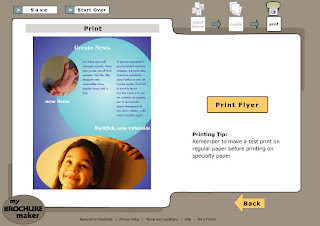 After that, it should be easy, just a few steps you can create your brochure, like choose a theme, add text. After all done, you can print it.